Why should Californians have all the fun? Anyone who has had the pleasure of filtering their way between lines of slower traffic can attest to the beauty of lane-splitting. Last year, we reported on California Assembly Bill 51, a bill attempting to codify lane-splitting into state law as opposed to keeping it in current unwritten enactment. 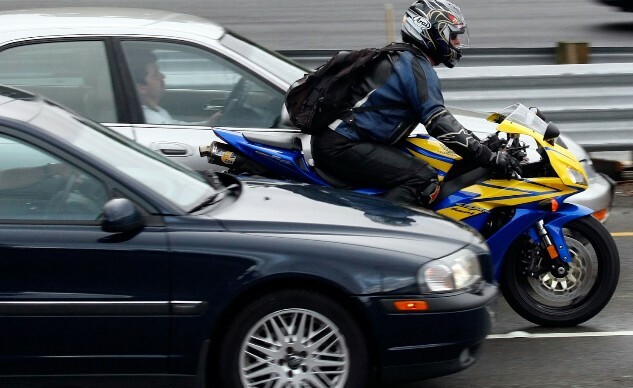 Well, yesterday, another attempt at drawing attention to the idea of legal lane-splitting nationwide was started on the White House web site. While California motorcyclists have been lucky enough to have filtering between the lanes as one of their urban riding tools for years, we’d like to share it with the rest of the country since it’s impossible to export our year-round riding season. Think of this as a green initiative that can help the environment by freeing motorcycles from wasteful hours of idling away our planet’s precious bodily fluids while waiting for the cars in front of them to move. Think how much happier riders will be after their commute. Songs will spontaneously erupt in the workplace instead of mass shootings. The divorce rate will drop. That barking dog will be given the love it craves from its owner instead of a shout and a kick. Presidential elections will revolve around actual policy discussions instead of merely tapping into voter rage. All because of the breath of fresh air provided by the implementation of national lane-splitting. So, take a moment out of your busy day and lend your name, email address, and zip code to the cause. Maybe rationality will prevail…this time.